Axel earned his A.A. in Theater Arts at Holyoke Community College and his B.A. in Theater from the University of Massachusetts. Axel has worked as an Actor, Dancer/Choreographer, Director, Stage Manager, and Designer. Axel twice received the Leslie Phillips Memorial Award from Holyoke Community College and also received the Community Spirit Award from UMass. Axel believes that theater changes life. Not just in the sense of going to see beautiful Theater; but being able to create and express art can be therapeutic. Theater helps kids in a variety of aspects including self-esteem and individuality, while at the same time helping them to work well with others. 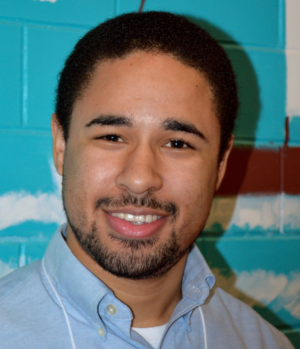 Axel joined Enchanted Circle Theater as a teaching artist in 2013. Axel was born in Rio Piedra, PR and is fluent in English and Spanish.